(CBS) This post was written by CBS News consultant Jere Van Dyk. He is the author of "In Afghanistan," Coward McCann, 1983, and "Captive," Times Books, 2010. The world is focusing on Iran right now, and a possible Israeli attack on its disputed nuclear sites. However the burning of the Koran by U.S. forces at Bagram airbase continues to fester in Afghanistan, and it remains the most volatile and dangerous place for Americans. Forty Afghans and six American soldiers have been killed since the Feb. 20 incident. Two days ago, the Ulema Council of Afghanistan, a body of senior Islamic scholars supported by the Afghan government, met with President Karzai and issued a three-page declaration demanding that those responsible "for this devilish act," be publically put on trial and punished. A friend wrote today in an email, ominously, that "the mood has changed in Kabul." 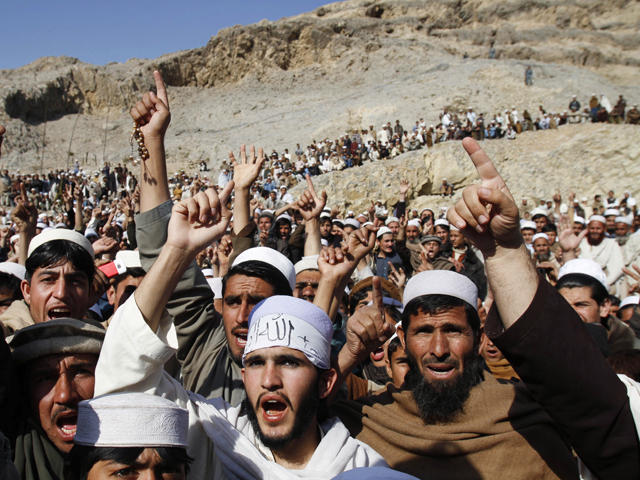 The Ulema, like most Afghans, are mostly Deobandi, a fundamentalist sect of Islam that began in 1857. The Pashtuns are the largest ethnic group in what is today Afghanistan and western Pakistan. They are the founders of modern Afghanistan. The Taliban are Pashtuns; they trace their roots to the Deobandi. Most of the rioting against the United States, however, has taken place not in the Pashtun areas where the Taliban have influence, but in Kabul, the capital, a Tajik city in the north. Kabul was once quiet city of few cars, where foreigners could walk happily, where in the evening you could hear the call to prayer wafting over the city, and the stars sparkled at night. Today, after more than 30 years of war, the city has over five million people and 900,000 cars alone. Kabul is a Tajik city, whose language is Persian. Most Kabulis are newcomers, deracinated villagers, and refugees who had fled to Pakistan after the Soviet invasion and who returned after the U.S. invaded and quickly destroyed the Taliban government, hoping, at last, for security and a better life. Very few old line Kabulis, Pashtuns and Tajiks, who gave Kabul its beauty and charm -- it was once called Paris of the East --- remain. Kabul is a crowded, polluted, ugly city now. Most of the anger against U.S. comes from Tajiks: The second largest ethnic group in Afghanistan, our allies who headed the Northern Alliance. Why are they burning the American flag? Why do they, when their dogs lose in their dog fights, call them Americans? Before the U.S. invasion the Taliban had pushed the Northern Alliance to the far north, but led by the Tajiks and the United States it came back and took Kabul. And people in the city are angered and humiliated because of the Koran burnings -- but more than anything else, because the U.S., in its desire to leave Afghanistan, has begun negotiating with the Taliban. The Tajiks and their allies are afraid that the U.S. will abandon them, just as it did when the Soviet Union left in 1989. They are preparing for another civil war. They know that again Afghanistan will descend into darkness. The Ministry of the Interior, in Kabul, is controlled by Tajiks of the Northern Alliance. The two U.S. officers who died last weekwere probably murdered by a former ally. It appears that the Pakistani Army, dominated by the Punjabis, the largest and most powerful ethnic group in Pakistan, is playing all sides: It backs the Taliban, as we all know, and now also the Tajiks, who are against the Pashtuns, who the Punjabis have been afraid of for 1,000 years. The Pakistani Army has used the Taliban to drive a wedge between the Pashtuns for two decades, just as it helped to create and back the Mujahideen. Divide and conquer. In 2006 then President General Perez Musharraf's spokesman, Shukat Sultan, a Punjabi major general, told me: "All our invasions have come from the West." U.S. ambassador to Afghanistan Ryan Crocker and Marine Corps Gen. John Allen, commander of the U.S. led coalition in Afghanistan, in an interview with CBS, vowed to stay the course in Afghanistan (watch video below). Secretary of Defense Leon Panetta said the U.S. "will not alter our commitment to get the job done," but the U.S. must be careful. General Sher Mohammed Karimi, chief of staff of the Afghan National Army, said, the burning of the Koran, was a serious "blunder," born of "negligence." "God forbid," he said, "if this mistake is repeated, there will be a lot of trouble next time." It would be "disastrous." I agree. A spark has been lit and another such blunder could cause the country, with foreign help, to burst into flames. In May, there will be a major NATO meeting in Chicago on Afghanistan. The U.S. has been negotiating with the Karzai government for a U.S. - Afghanistan Strategic Partnership Agreement, which would allow the U.S. to maintain a training presence in Afghanistan. The Koran burnings have helped Karzai to hold onto his core demands, and from which for over a year he has refused to budge, and they are that the U.S. must turn over control of its prisons to the Afghans, and must stop its night raids, before the government signs any agreement. The declaration of the Ulema Islamic Council of Afghanistan on the Koran burnings included the exact same demands on prisons and night raids as the Karzai government. The U.S. has just suspended negotiations with the Karzai government. All of Afghanistan is in turmoil now. It feels humiliated by the burning of the Koran. It is not clear who America's real allies are. As the dust settles the Taliban will continue to fight, but watch closely the streets of Kabul. This is the capital of Afghanistan, the center of power, which, a few weeks ago, was the most secure part of the country.